I would like to start this article straight with a question that confuses many webmasters and bloggers who are constantly searching to find information about it. What is Author Rank? And Google Authorship? This article will be covering almost every single information you need to know about Google Authorship. These are some of the questions, whose answers will be crystal clear to you after you finish reading the entire article. 1) What is Google Author Rank? 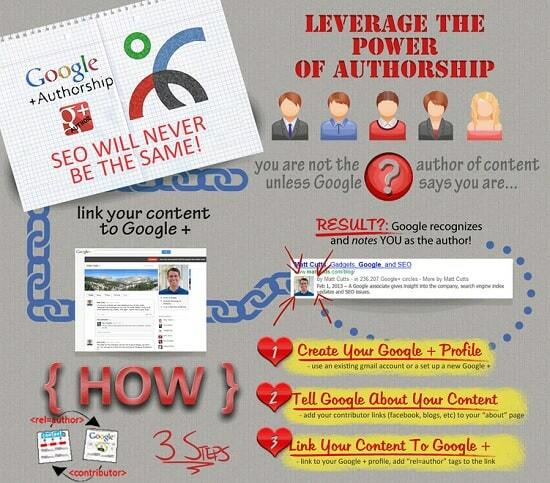 2) What is Google Authorship and How Author Rank and Authorship are interlinked? 3) Why should I even care about Google Authorship? What are the benefits of it? 4) What are the ways I can implement Google Authorship for my website? 5) How is Google Authorship and Author Rank going to change the face of modern SEO? You probably, have got many questions in common with those that are currently hovering in your mind. 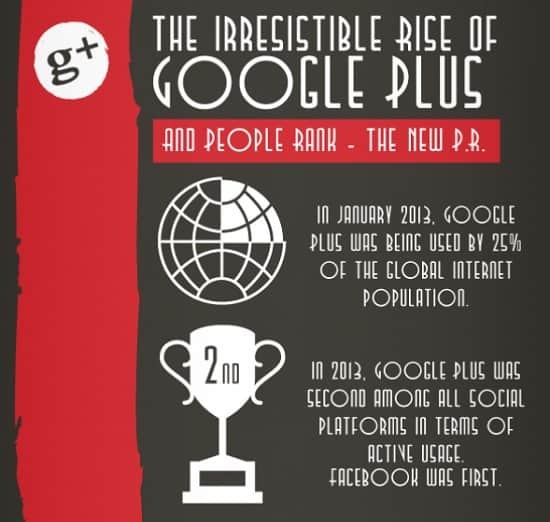 You need to know a bit of history on AuthorRank and the birth of Google+, to understand these things better. I can assure you that it won’t be a boring history class. You will learn lots of unknown and interesting facts. About seven years back, in 2005, Google had filled a patent for “Agent Rank” where they wanted to rank various “agents” or “authors” and use their popularity and reception to rank content in the Search Engine results page (SERPs). The idea was pretty simple, they wanted to make the search engine results much more refined and high-quality by giving more importance to the well-received authors than the less-authoritative ones. But there was a problem for Google to implement “Agent Rank” as they needed a rock-solid platform to collect every single information about the authors and also give creditability to the authors. But the hot topic of 2005 soon faded away from people’s minds, due to this lack of a proper platform. But fortunately, this didn’t fade away from the minds of Google as in 2011 they launched their “portable identity platform”, Google+. 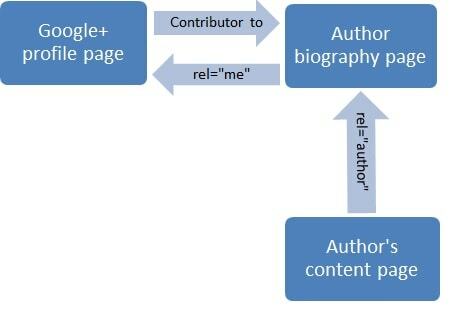 The Google+ profiles acted as digital signatures for particular authors or “agents” and Google used these profiles and tied them with specific content, thereby giving creditability to individual authors. As Google started attributing content to specific authors, the concept of “Author Rank” soon found its way into the industry. Speculations claim that, very soon the “Author Rank” algorithm will be an integral part of the search algorithm, even jarring and jolting than the Panda’s and Penguin’s, or both combined together. What is Author Rank and Google Authorship? If you are aware of the concept of PageRank, then understanding AuthorRank from the previous section would not be much difficult. AuthorRank is a score, which is a measure for Google to understand which author is more popular, influential and trust-worthy, and whose content can be given more importance. This is undoubtedly a great way to understand the importance of authors and refine search results on the basis of this concept. Google Authorship, on the other hand, is the way Google uses to tie Google+ profiles with contents. It is a way of crediting the author. It is a way to tell Google, that you are the writer of a particular article and the sole owner of it. Do not make the mistake of confusing Google Author Rank with Google Authorship. Both are completely different. To make it even simpler, AuthorRank is an algorithm, but Authorship is a markup which is used to display the authorship information in the search results page through rich snippets. Google Authorship helps you to stand out in the search results page with a visually appealing profile picture rather than just a simple link. It will help you to have a distinguished appearance in the search results. A picture is worth a thousand words, and this is well applicable here also. Searchers have a natural tendency to click more on the links which have got a profile picture attached to it. Almost every blogger and webmaster have noticed a huge increment in their CTR after implementing Google Authorship. The searchers start getting familiar with your identity as they start seeing your face getting hooked up in the SERPs quite often. If you are a good writer and know how to satisfy the needs of your readers, then they would remember you and will tend to click on your link before others. Moreover, no one would ever want to attach their own face with a spammy content, so this gives an additional layer of trust to the searchers. With time, as you write more content for different sites, your authority tends to increase more and more and also the authority associated with the contents you have previously written. So, it’s basically a win-win situation for all. It’s always good to have your Google+ profile directly linked from the search results page. This can give you an additional social reach, as the searchers can now directly look into your profile and know more about you. The follower count is something which helps the searchers even more. Obviously, a person with thousands of followers is much more influential and trust-worthy than a person with just a few hundred followers. It’s not a thumb rule and not always true, but still a great way to determine influential and trust-worthy authors. With time, you start building your own brand and searchers start knowing and trusting you and your content. Many people often say that if you have not linked your content with Google+, then is not your content in any way. You need to give Google a way to determine that you are the original author of the content and anybody who steals it, needs to be penalized. With the “More posts by” link next to your profile picture, the searchers gets a chance to browse through your other works. If they like your work, they can start following you, which in turn increases your brand power and authority even more. 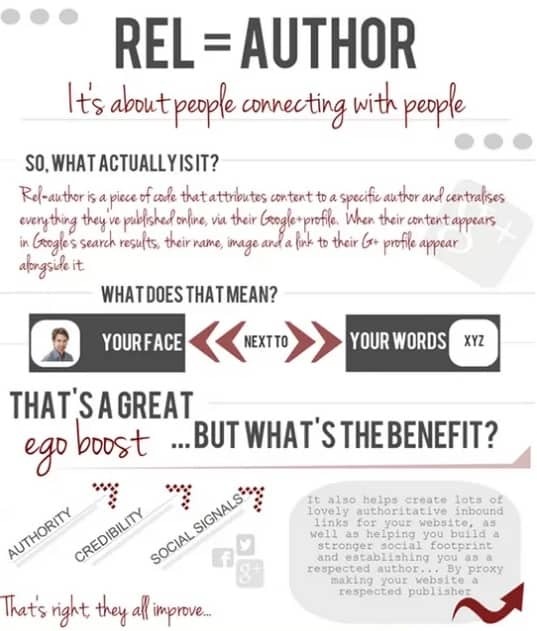 Implementing Google Authorship is a two-way process where your Google+ profile and the website, both are involved. I will try to explain this in a very simple and lucid way. Just open your Google+ profile, click on the About tab, you can see a Contributor to section over there. Just click on Add Custom Link and add the link of the homepage of the website where you want to claim your Authorship. You may be writing for a sub-page in that particular website, but just provide the main website address and you are all done in the first part. As I mentioned before also, that implementing Google Authorship is a two-way verification so you need to add something in the webpage too. If it’s your own website and you want to claim Authorship for it entirely, then you can do so by adding the link in the header of the website. You will need an HTML editor for this and a bit of technical knowledge. Replace your actual profile URL in the href=”” part and do not forget the rel=”author” part, as it’s the most important thing there. Now if you are a guest author and is contributing a guest post to a particular website, then you are not going to have access to the HTML editor and header section of that site, so you can use the query string method for that. All you need to do is put a link to your Google+ profile with “?rel=author” as the query string amended to the end of the profile URL. Yes, it’s as simple as that. It can be even easier for you if you are using any CMS like WordPress. The best part of WordPress is that it has got a huge repository of some very useful plugins. There are some nifty plugins for claiming authorship too which can get your work done in an even more simple way. Here are some of the plugins you can use,All-in-one SEO Pack, WP Google Authorship, AuthorSureand many more. But these are enough to get your work done. How Google Authorship is going to Change the Face of SEO? With Google’s never-ending desire to give high-quality search results to its users, there is simply no doubt that AuthorRank is going to become a major part of the search algorithm very soon. If you have read the entire article carefully, you will understand how the broken pieces match together. Google had a desire to implement AuthorRank since 2005. Slowly, it developed Google+ and have implemented Authorship and it’s not far in the future, that Google will start taking AuthorRank as one of the major part of the search algorithm. But should it become a nightmare for you just like when the Panda’s and Penguin’s rolled out? No, it should not be. If someone is going to lose traffic, then there must be someone gaining it, because the total search volume will remain invariant with these updates. So, it’s up to you to decide which side you want to remain – on the winner’s side or the loser’s side. If you start taking Authorship seriously from now and start building your AuthorRank right from now, then you simply have nothing to worry. I am sure you would have understood Google Authorship and AuthorRank and have found the answers to all those questions that you had before starting to read this article. But to make things more interesting, I would love to share some excellent Infographics and Cheetsheets with you. This entry was posted in SEO and tagged Future of SEO, Google AuthorRank, Google Authorship, SEO on July 15, 2013 by Aritra Roy. For joomla there is a nice plugin to insert automatic rel=author; i tried it days ago and it is working; would be interesting to know how much would it influence the serps in the upcoming months… thanks for the article was useful.